Thanks to the temperature sensor on board the user is warned by an alarm beeping intermittently and a LED flickering when the temperature of the battery exceeds 60°C and needs to cool down before re-use. When the temperature drops back below 45°C both alarms disappear and the booster can then be recharged before further attempt. 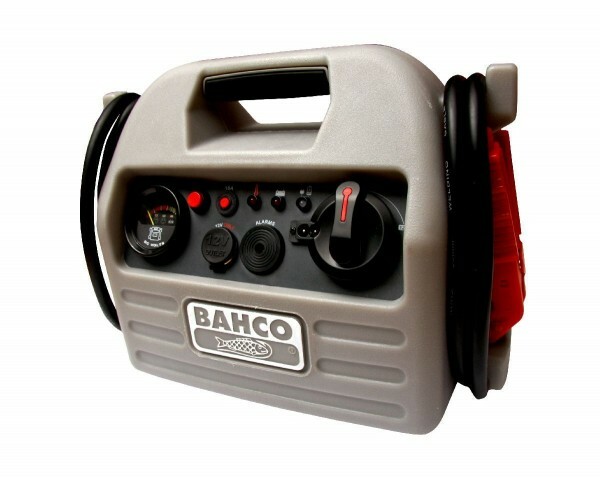 Liens supplémentaires vers "Bahco BOOSTER 12V 800CA - BBL12-800"
Évaluations de clients pour "Bahco BOOSTER 12V 800CA - BBL12-800"